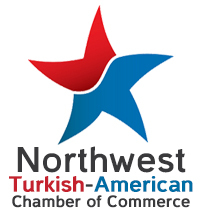 is a Seattle-based Turkish-American chamber of commerce and a not-for-profit organization. We were established in 2009. We serve the states of Washington, Oregon, and Alaska. Our goal is to enrich trade ties between Turkey and the U.S. by supporting Turkish and American entrepreneurs. To accomplish this goal, we organize seminars, luncheons, and networking events.